We are getting geared up for one of the most exciting times of the year here at our farm – calving season! While most of our beef cows calved earlier this spring, almost all of our dairy cows will be calving in the next 4 months or so. For example, we have 11 babies due in June, 8 babies due in July, and another 11 due in August! You know what that means…..calf naming contests and lots of cute baby calf pics which I will be sharing on our farm Facebook page! 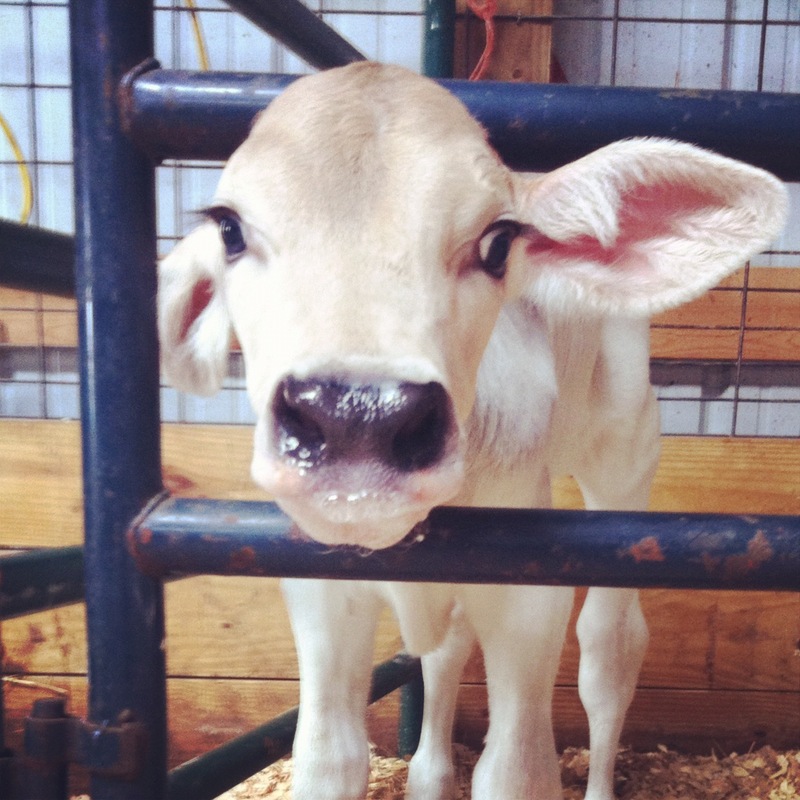 This sweet little Brown Swiss heifer was born several weeks ago to our heifer, Twitter. It’s fun to see how the times and technology start slowly affecting our cow names. 🙂 This little girl is long-legged and quite dainty. Her sire is the New Generation Genetics bull, Wonderment. One thing that I find completely irresistable about these babies is their HUGE ears. In this pic, one ear is stuck behind the gate. Must be hard having ears twice as wide as your head!